Building a better Buick is difficult – some might say, impossible. 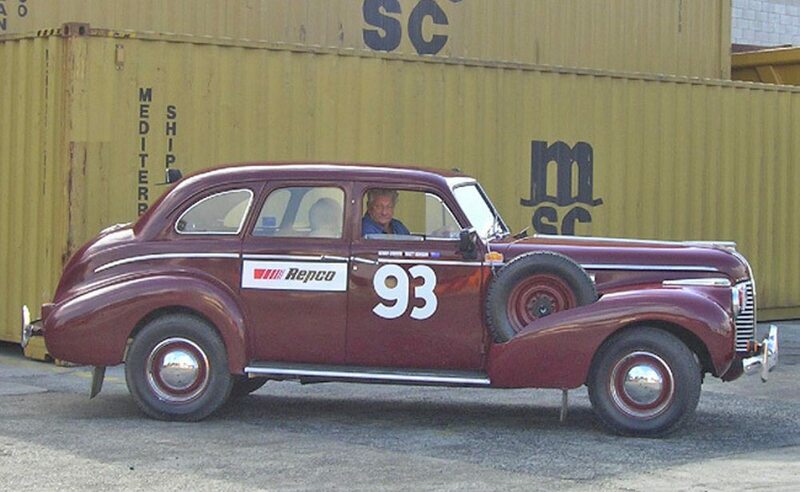 Outstanding rally driver Gerry Crown, helped by Trevor Seaman, Matthew and John Bryson (plus friends), is attempting to do just that, preparing a Buick sedan for the 2007 Peking to Paris Motor Challenge being run from 27th May until 30th June 2007. Wagga Wagga enthusiast lan Vennell in late August 2006, the rally team are learning about the marque on the run. So far, the best information has been from Buick car club members such as Robert and lan Vennell and known experts such as Ron Noonan. This has to be judged against the experience Crown and Bryson have accumulated during forty years of long distance rallying. 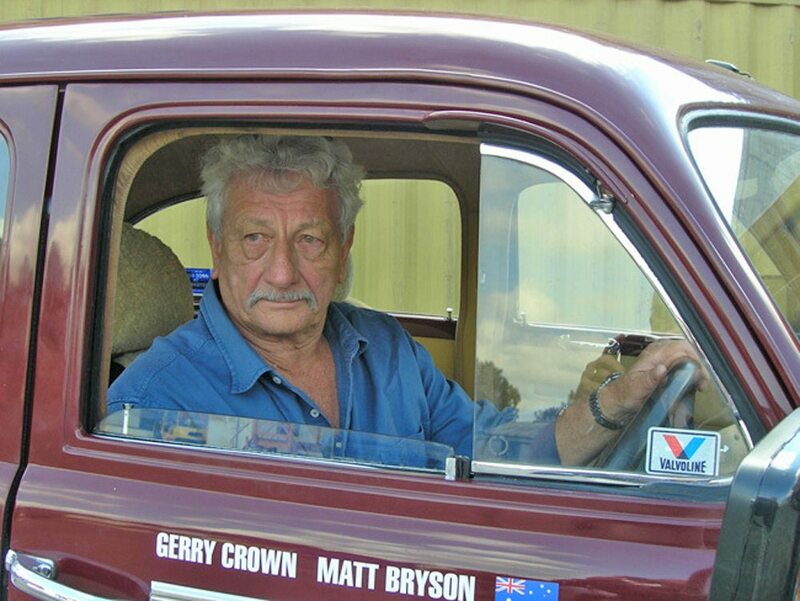 They have driven cars ranging from Cooper S, Cortina and Renault Gordinis or Mitsubishi Lancers, and Prince Skylines to Toyota HiLux and Range Rover – plus the incredible EH Holden, “True Blue”, which has around one hundred thousand rally miles under its belted tyres in Europe, across Asia and around Australia. 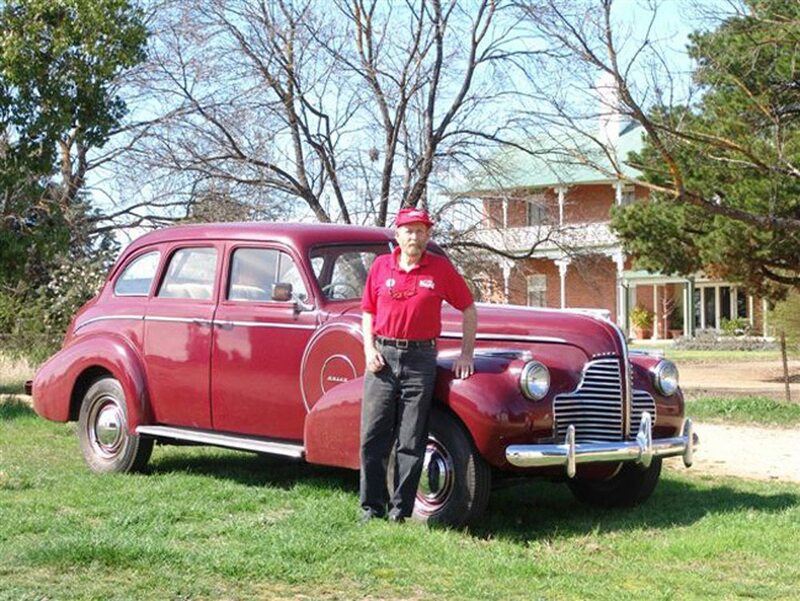 The EH Holden took them to second classic outright in the 1997 Peking to Paris Motor Challenge as well as a class win in the “Trial to the Nile” – and trophies in the two “Re-Runs” of Fifites ReDex Around Australia Trials held in the last few years. 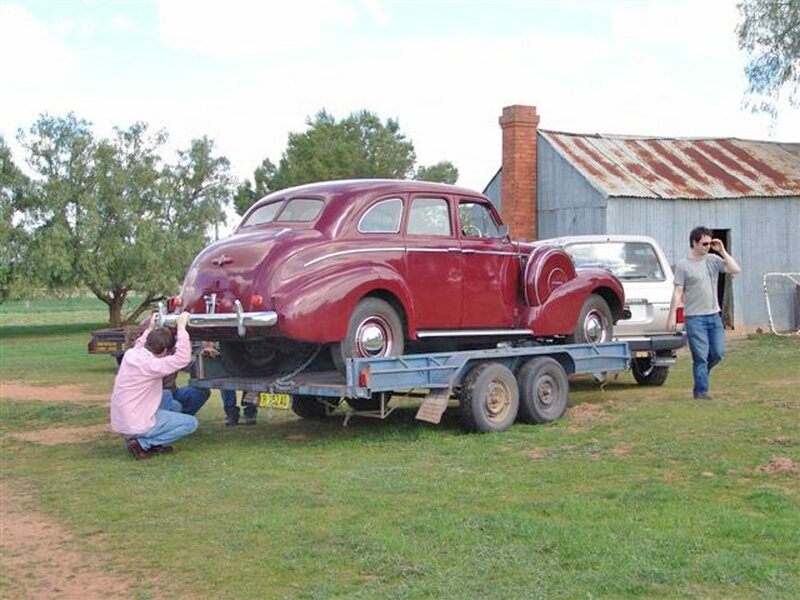 With twelve thousand kilometres of roads across China, Mongolia and Russia – and on to the finish in Paris on June 30th – the Buick will need to be rugged, reliable and rapid. Some roads will be highways, some will be unspeakably rough. The only doubts about the vehicle are that the gearbox and differential are reported to have occasionally failed. However, transmission expert Richard Craft is sceptical as he recalls how his father used to abuse the living daylights out of a similar model Buick. Most of the development and all the critical building work is being done by preparation genius Trevor Seaman, of Bathurst, aided by Graham Kilby. Trevor is building the engine with mechanical engineering and machining by Graham Wilkins in his Seven Hills workshop. Being younger men (under fifty,) both are surprised with the engineering excellence provided in the Thirties and Forties. 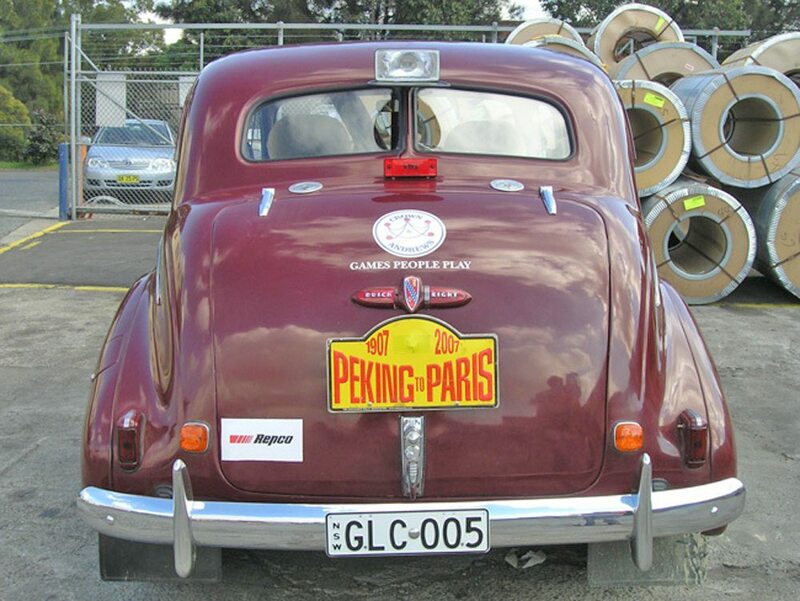 When the Buick entry was “accepted” for the 2007 Peking to Paris motor challenge, the team were given a set of technical specifications to follow. 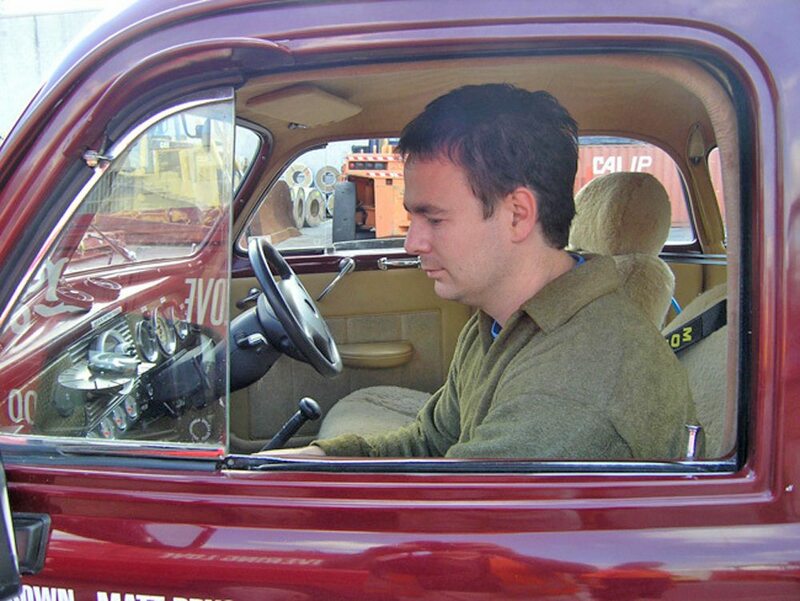 It would have been a lot simpler if the rules said to run stock standard cars. 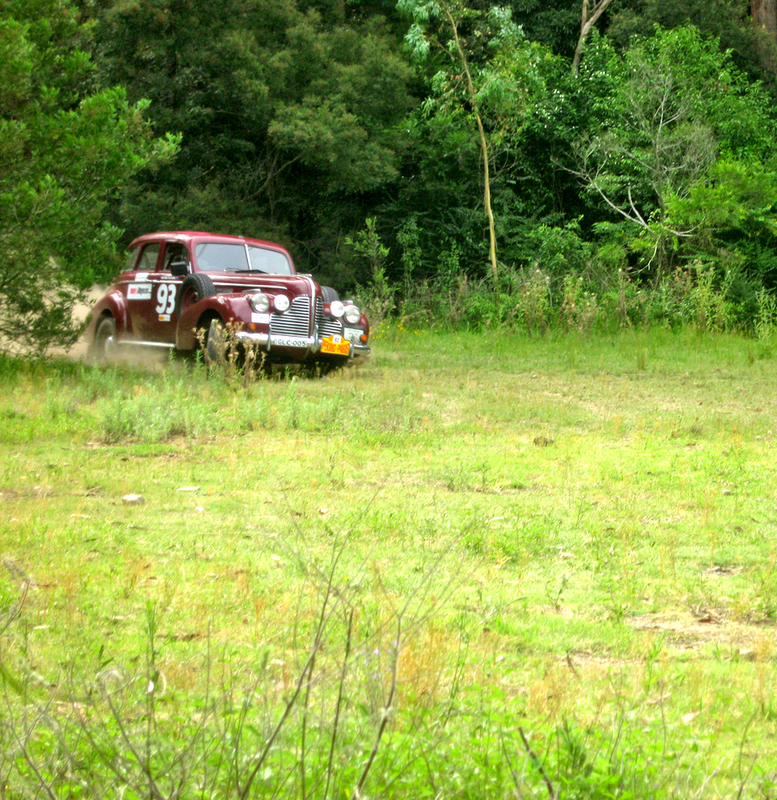 The organisers allowed some variations from standard in a desire for reliability such as a change of gearboxes. 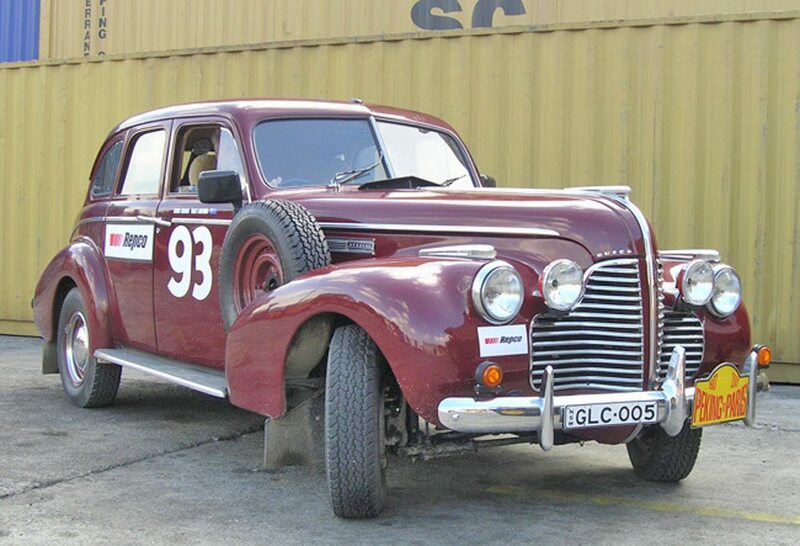 Post 1941 cars can run disc brakes, larger fuel tanks are allowed, steering wheel and seats may be changed, but, essentially the rally organisers wish to maintain the look of the period when the cars were made. 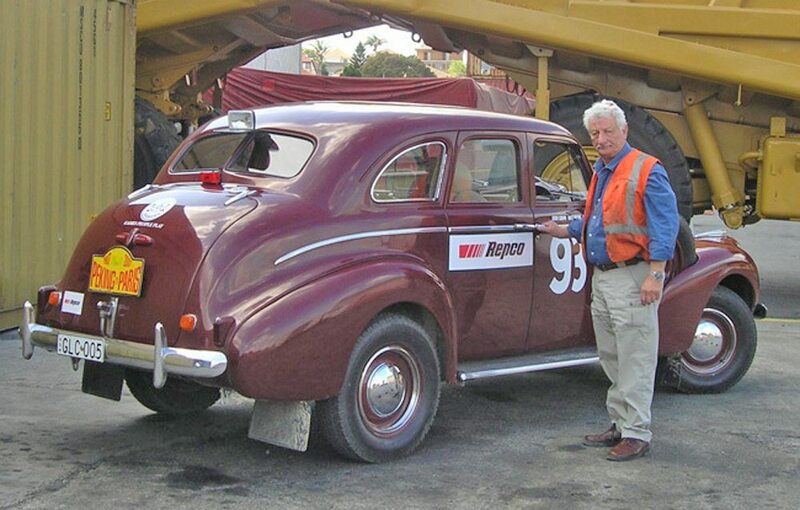 This suits Gerry, as the six wheel equipped Buick looks splendid in stock standard condition. Originality becomes difficult to maintain when extra instruments are fitted, satellite navigation and Halda’s etc. There are challenges in carrying parts, camping gear, emergency rations and liquids, clothes for a month – including a dinner suit for the black tie presentation ball in Paris. Then, there is the major consideration of safety. A half roll cage is intended to be fitted. 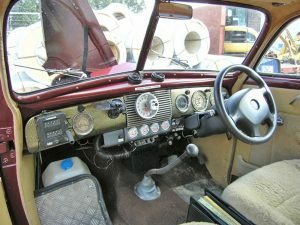 Detail is critical and Trevor’s helper, and neighbour, Graham Kilby, has completely rewired the vehicle and fitted the modem instruments, Garmin GPS, etc. All long runs of wiring are protected in “Aussie Duct” tubing safely located within the cabin and under the carpet. Carpet in a rally car! Because the car will be driven at speed over rough surfaces in Mongolia and Kazakhstan, the new springs are supplemented by tubular Monroe shock absorbers front and rear. The original lever arm shock absorbers have been renewed and are retained – being an integral part of the original suspension design and required to be kept by the rules. 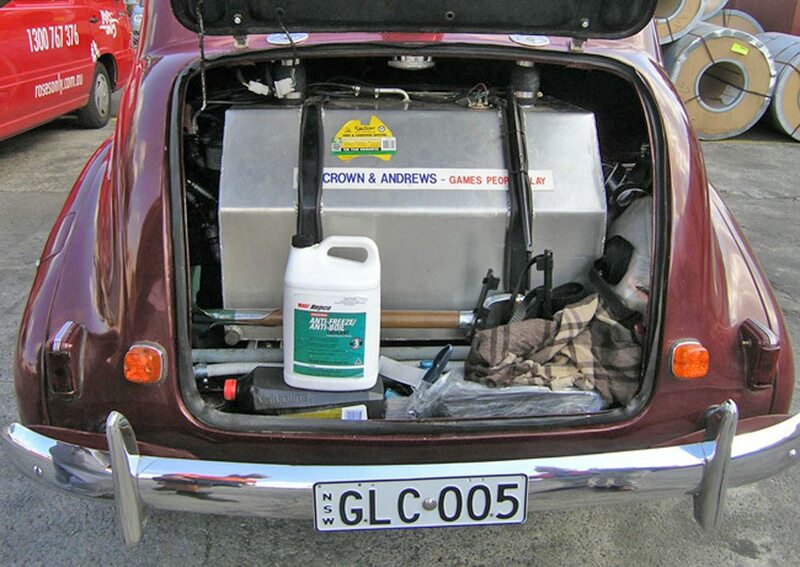 A 180 litre petrol tank was mounted in the boot with twin fillers for access from either side of the vehicle. This saves time if they need quick service during the event at a crowded fuel stop. The motor is basically as normal except that it now sports four SU carburettors (just as the competition Buick specials wore in the I940’s) plus period extractors leading to a side discharging muffler system in front of the left rear wheel. An added advantage is that the Holden unit gives the driver modem turn indicator controls, flashers and control of the supplementary screen and headlight washers, A Range Rover windscreen washer is bolted in front of the navigators footrest and provides around four litres of water. While aluminium panels were initially considered to reduce weight, the rules forbade this – plus the fact that the cost would have been astronomical! 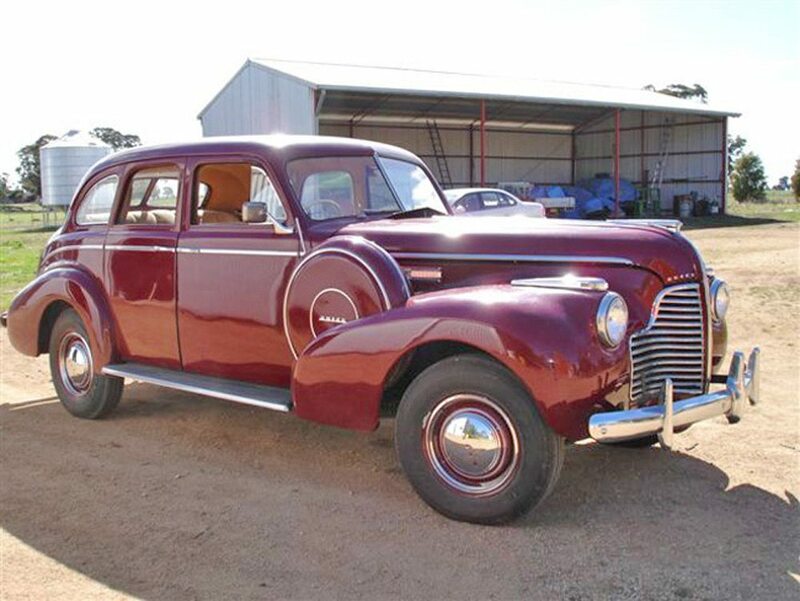 The body was made by Holden body works in 1940 and is a masterpiece of simple and elegant construction – there is no panel which is not essential to the function of the vehicle apart from the two mudguard mounted spare wheels. As the tyres selected are larger section than the original 6.50×16 items, the spare steel wheels will be carried in the rear passenger compartment to aid weight distribution but Gerry and Matthew will keep the wheel covers as storage for some parts and spare tubes. Because the Buick engine is normally a strong pulling engine three speeds were adequate in the Forties and are good, now, for cruising. 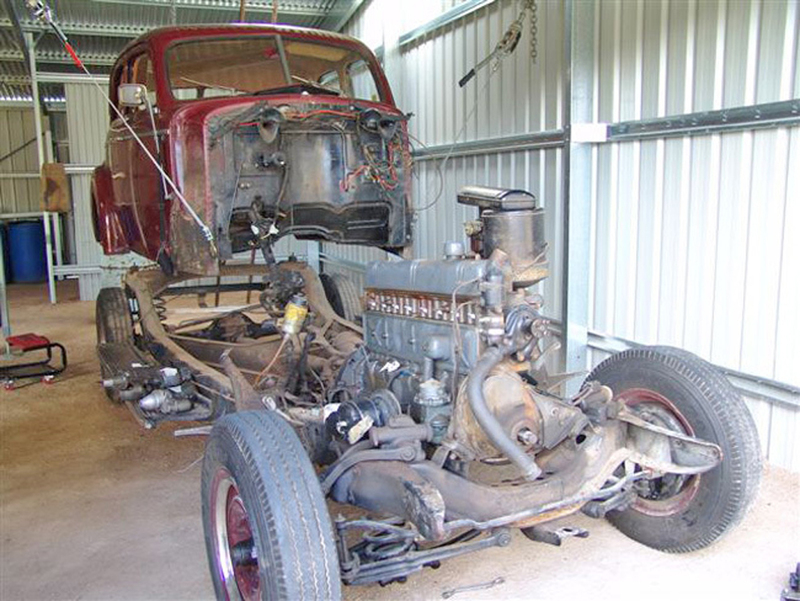 However, in the interests of safety we have changed the three speed to a four speed Chevrolet truck gearbox (of the period) so the engine will take some of the load off the braking. It has almost the same ratios as the original, however the low ratio first (7 to I) is a “secret weapon” in case the team have to deal with long stretches of boggy or sandy track. Equipped, ready to go, the Buick will weigh close to two tonnes so this gear will also give the team some “get up and go” and some preciousseconds on the competitive stages. With four SU carburettors to feed, and likely stages of almost seven hundred kilometres, fuel consumption could be high. Most days will have stages of over 500 kilometres. Competitors have scheduled rest days in Ulaan Bataar, Novosibirsk,Yekaterinaburg, Moscow , St Petersburg and Gdansk during the 35 day competition. The 134 entries are spread in three classes – 18 in pre-‘2I, 76 in pre ’41 and 37 pre ’61. The pre ’41 class seems as if it will be the most competitive for an outright placegetter with strong challengers such as ’50 Ford V8s and Aston Martins etc in the pre ’61 class. 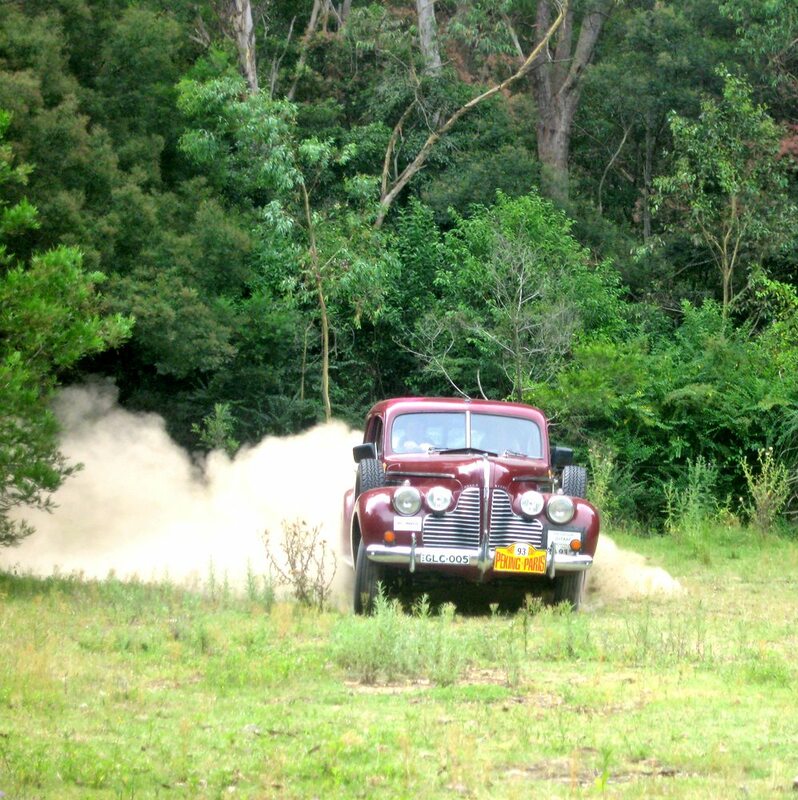 No long distance rally is a walkover and this event will surely see a battle between General Motors and Ford crewed by experts from Europe, Australia plus North and South America. There will also be eighteen teams of heroes who are crewing pre ’21 monsters. While Crown and Bryson would like to do better than their previous second place, they realise that this Centenary Celebration of Prince Borghese’s 1907 victory will be a seriously competitive event and many of the 134 teams are like them and want to be first into the Place do la Concorde on June 30, 2007. They consider that their biggest advantage will be the Buick. Despite the major set back the Buick continued to the finish and showed it’s rear bumper to many in the competitive sections. 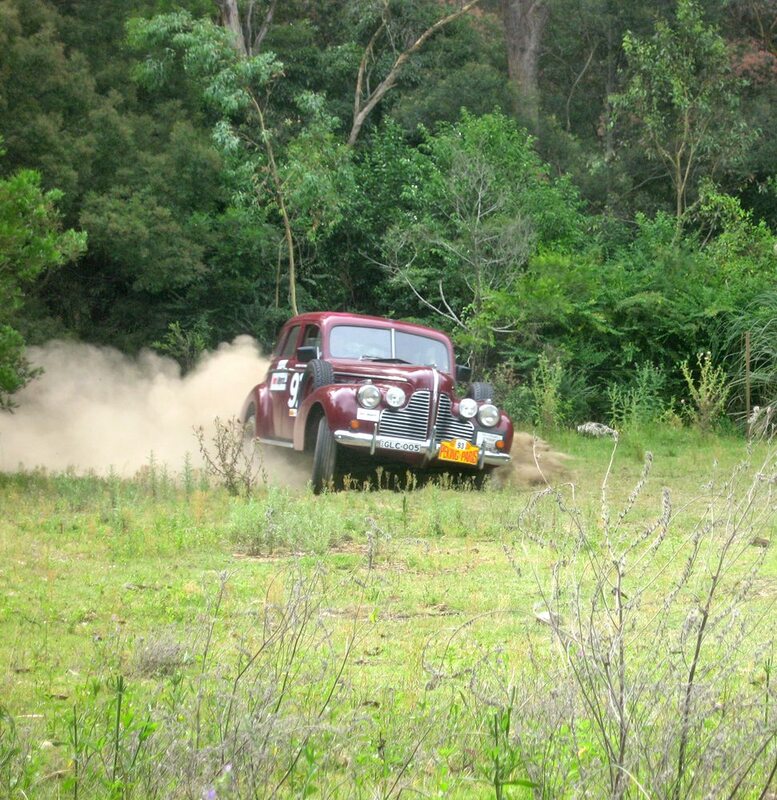 It finished overall in 20th position in its class and was awarded a Silver medal.